Many pasta dishes have a certain heaviness to them, which makes them great comfort foods for fall and winter. This is a pasta dish that defies that logic. 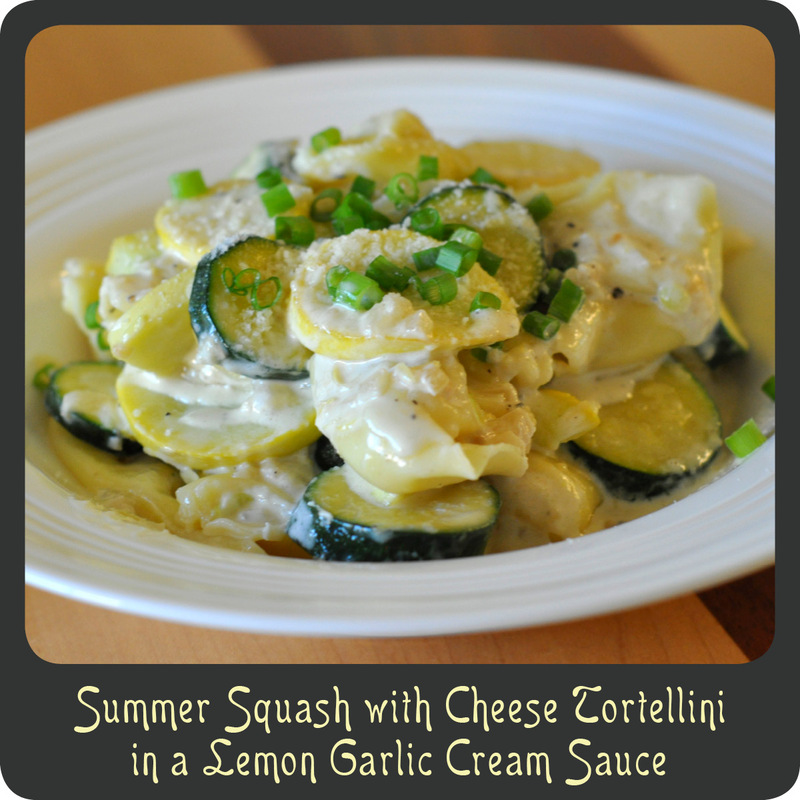 The lemon zest and fresh summer squash gives this dish a wonderful light and refreshing quality that will have your taste buds tingling all summer long. The sauce is what I would call a grownup version of alfredo sauce. It has that wonderful creamy quality but with more flavor. This recipe is great for many other reasons. It is incredibly cheap to make, it’s super easy, it’s delicious, and it took me under 15 minutes from start to completion, making it the perfect dinner for a busy night. Note: You can also substitute ravioli for the tortellini. Cook the pasta per package instructions. While the pasta water is coming to a boil, heat the olive oil in a large wok or skillet over medium-high heat. Add the shallot s and garlic and cook for 3–4 minutes. Add the squash and season with salt and pepper. Cook until the vegetables begin to soften, about 4–5 minutes. Add the cream and lemon zest and cook until the cream begins to simmer and thicken. Add in the grated parmesan and stir to combine. Once the sauce is the desired thickness, add the cooked tortellini to the pan. Transfer to serving dishes and top with extra parmesan and a sprinkling of the green onions.